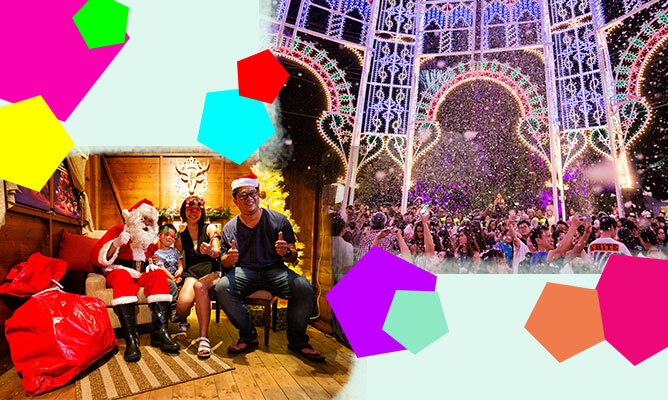 Soak in the festive mood with spectacular light shows, charity runs and lots of merry-making fun – we give you the run down on December’s exciting must-sees and -dos! 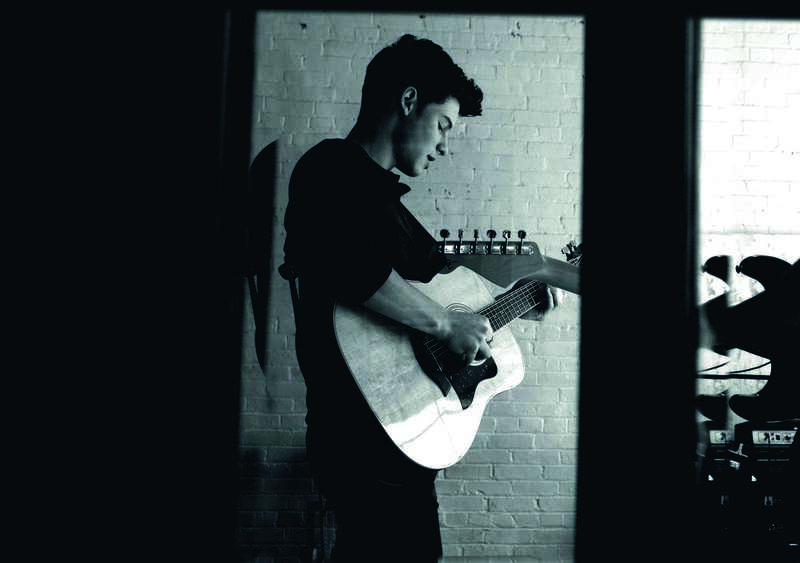 It has been three years since his second album, but the Canadian pop heartthrob is back and ready to light up our world with his sold-out maiden headline gig in Singapore. Prepare your hearts for an emotional display of guitar acoustics and soulful vocals as you get serenaded with crowd favourites like ‘Stiches’, ‘Treat You Better’ and ‘Mercy’. 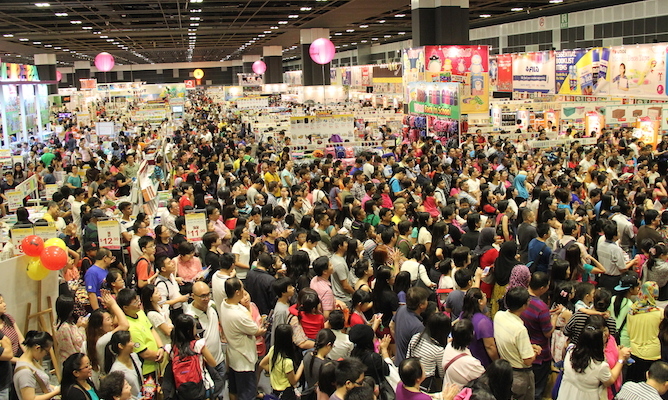 Back for its 11th edition, the annual extravaganza brings us the best deals on the latest electronic gadgets, stationery items and hidden literary gems. As you stock up on the back-to-school essentials, don’t miss out on meeting some of our homegrown authors such as Sumiko Tan and Mr Kiasu at their exclusive book signing and sharing sessions. Ever wondered how circus performers teeter across the tightrope effortlessly without breaking their bones? 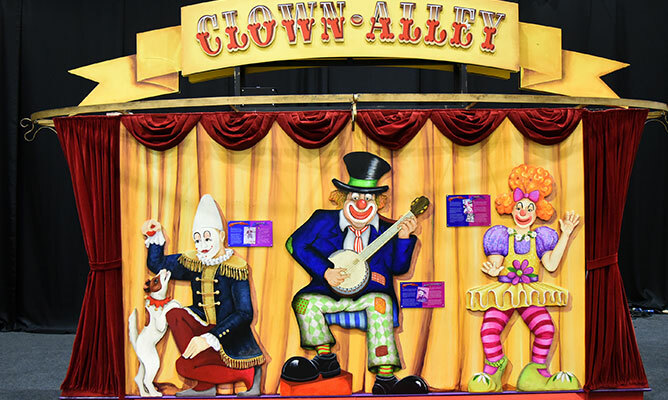 Singapore Science Centre takes you behind the scenes of a circus performance, which unveils the trade secrets behind every theatric spectacle. 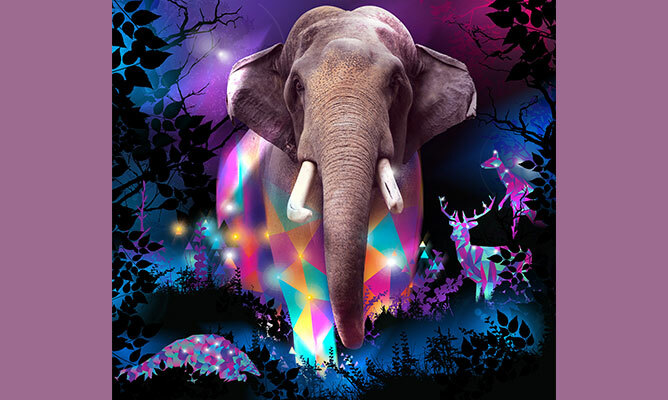 There’s more than just nocturnal wildlife at the Night Safari ­– for five weeks, the animal sanctuary will be set aglow with geometric light sculptures, iridescent walking trails and even a neon light show. Don’t forget to get your glow on with some face painting goodness! It’s beginning to look a lot like Christmas at Gardens By The Bay. The 2017 edition of the annual yuletide fair welcomes a dazzling display of lights, fun carnival games and seasonal treats to indulge in. If that still doesn’t get you in the holiday spirit, how does skating under the stars or a trip to Santa’s Grotto sound? Christmas is all about the spirit of giving! 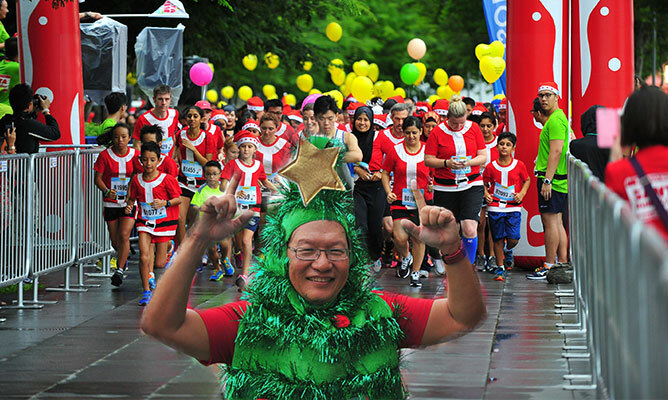 Help the Make-A-Wish Foundation bring joy to the hearts of little ones – dress up as Santa or an elf and sweat it out with fellow do-gooders at this 5km charity fun run! Spreading the holiday cheer while getting in shape? Sign us up! End off 2017 with a bang at the biggest year-end celebrations yet! 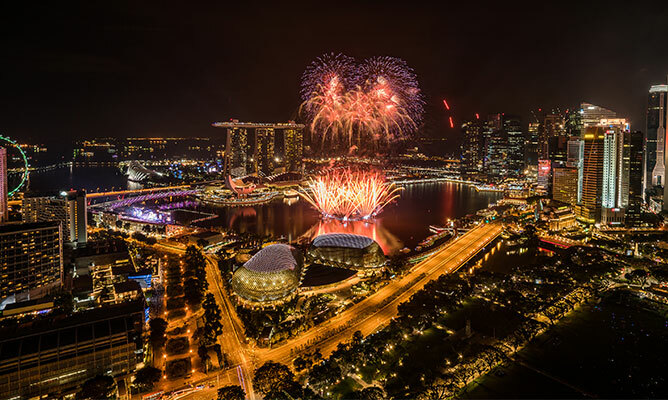 With an exciting lineup of carnival games, gastronomical delights and spectacular fireworks to look forward to, there are plenty of fun activities to keep you in high spirits as you countdown to the new year. 3… 2… 1! What will you be up to this December? Tell us in the comment section! Nobody can resist a good foodie IG account. There is something so satisfying about admiring the galore of food and planning where to eat next on the weekends. 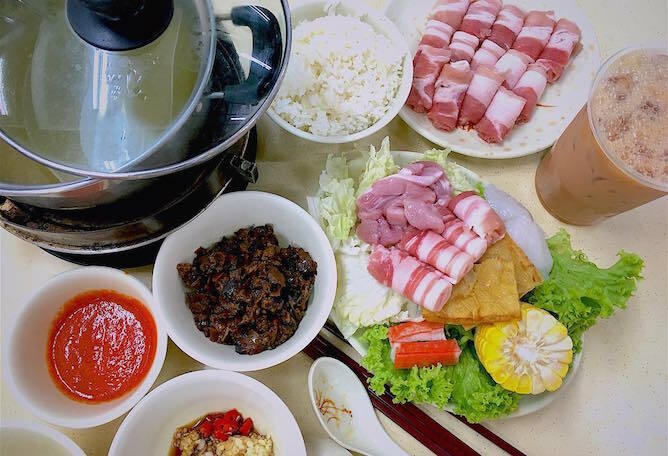 Here are 8 local foodie profiles that are guaranteed to give you a foodgasm and leave you in awe at Singapore’s diverse spectrum of food. If you don’t know who lennardy is, then do you really know the food community? A “part-time” chef and a very good one at that, Lennard professes to be a student of the Internet; meaning that he learned how to cook off YouTube. Apart from posting up cooking clips that’ll have you salivating in no time, this Masterchef Asia contestant curates his feed with delicious grub recommendations from Singapore and all over the globe. Witty and humorous, Sihan does a great job at bringing you a list of local food places you should check out ASAP. Moreover, she takes you on a virtual food tour to whichever country she visits, leaving you wondering where your next vacation’s going to be. Read her blog for a more detailed description of the mouth-watering food you see on her page, just to tease your hungry stomach for a bit. Featuring the true blue Singaporean foodie experience, Willin is not all about millennial cafe fare. Instead, you’ll catch sight of the best local delights such as wanton mee, bak chor mee, char siew rice, nasi lemak and the likes. Representing as Singapore’s godfather of mod Sin cuisine, Willin is a chef and owner of multiple restaurants, so you can be assured that his recommendations are legit. If anything, Liang Yu (who’s also our Teenage Gorgeous You! 2015 winner!) has a knack for turning everything he eats into gram-worthy bites. You can count on him to show you the newest cafes and eateries in the hood, as well as the dishes worth ordering when you’re there. Aside from his artistic flair, we love how informative his account is with the names and prices of the food, making it easier for you to set aside a budget before visiting. Brutally honest to a fault, Rubbish Eat Rubbish Grow (RERG) consists of a group of people who are ardently passionate about food. Unlike most food blogs that are highly-commercialised, RERG chooses to bring in only the most honest food reviews, so if you are looking for a breath of fresh air away from all the sponsored food reviews, this is it. Check out their site for some of the funniest and concise food reviews, but do not be disappointed if you don’t find your favourite restaurant there, because they are seriously selective on what they write about. One look, and you know Clara is a big foodie. She has tried most food trends in Singapore and gives her own opinions on how they taste too. This way, you’ll know when the food doesn’t just look good, it is worth it to try it out yourself too. It is a joy looking at Clara’s profile because she’s not just funny, she’s also terribly #relatable. She has a blog documenting her foodie adventures too. Holding a day-time job as a full-time audio producer, Jacqueline brings you the best from the food scene in Singapore during her free time. Her visually-pleasing profile boosts a wide array of cuisines and not to mention, her photo editing skills never disappoint because everything comes to life! It is not advised to scroll through her profile late at night because we are not responsible for any cravings! Quite literally a ‘mighty foodie’, Joe embraces all kinds of cuisines so you can expect to find something you fancy in the huge selection of food and restaurants to satiate that hunger. We like how informative Joe is, and you can find out about any existing promotions or discounts at your favourite places through his profile. And of course like any other foodie accounts, his photos look lip-smacking delicious. 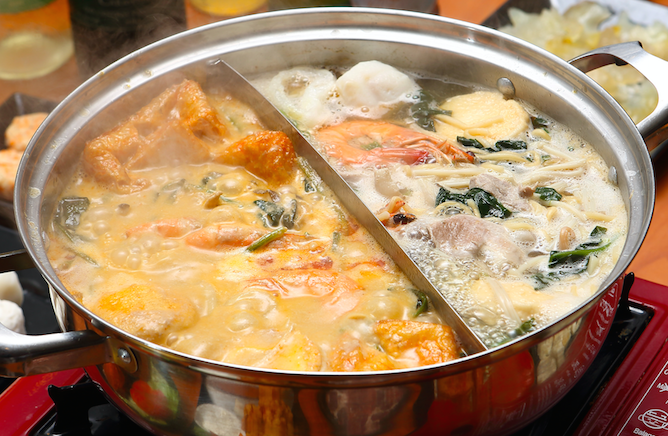 The rainy days have given us a craving for a wholesome hotpot meal! 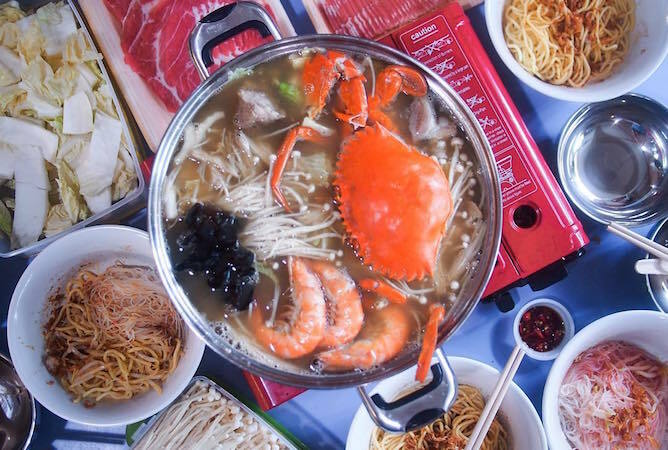 Here’s a list of steamboat places you can visit with your friends without breaking the bank. 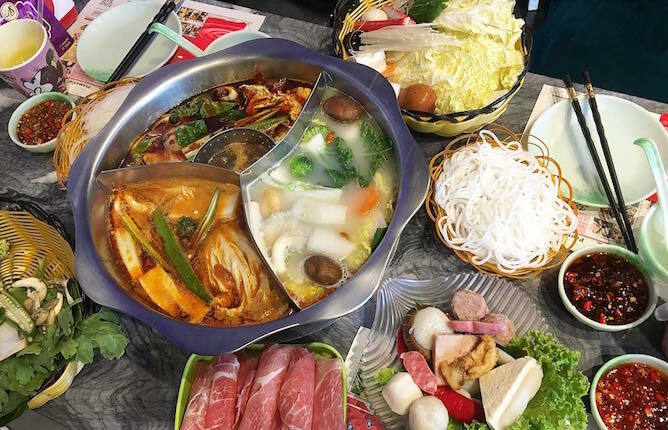 At Emperor Pot, their 3 tier cooking machine isn’t all that they are known for – their value for money prices, wide range of meat and seafood, and a fully equipped sauce station has been proven to be worth the long wait! This is the go-to place for those big groups of friends who can’t decide between Korean BBQ, Steam Box or a hot pot. You’ve tried mala and tomyum broths at the various steamboat eateries, but have you tasted a laksa soup base? San Laksa prides itself on their traditional curry laksa that boasts of a rich coconut aroma. Don’t worry about the spicy kick, chili paste is served separate from the broth so you can add according to your preference! 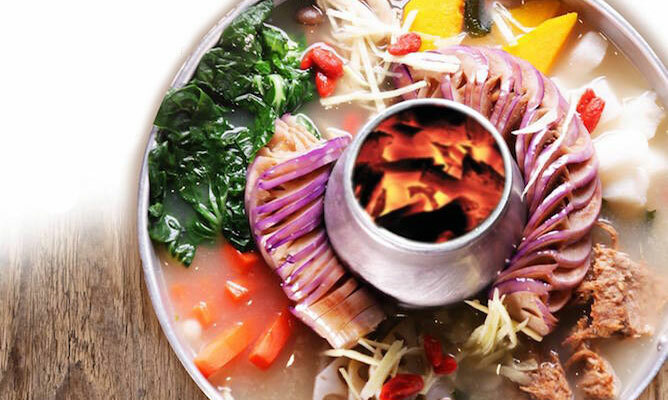 Don’t let the gimmicky outlook throw you off, Shi Li Fang has some of the most affordable hot pot prices and delicious soups with no MSG. Depending on which branch you visit, you could be swishing raw meats in a shared pot or a personal one. In addition to the usual vegetables, pork belly slices and seafood you can order a serving of frog, cows lungs or eel if you’re feeling adventurous! New Fut Kai is on a mission to debunk the bland rumours about vegetarian food and their steamboats has definitely made an impact with their unique broths namely the soymilk miso, power multi-grain and their fish head soup – the ingredients vary with your choice of soup and there is no flexibility in choosing how much or what liao you like. While you’re there, try their mock cereal prawns or suckling pig that has convinced the most passionate meat lovers. 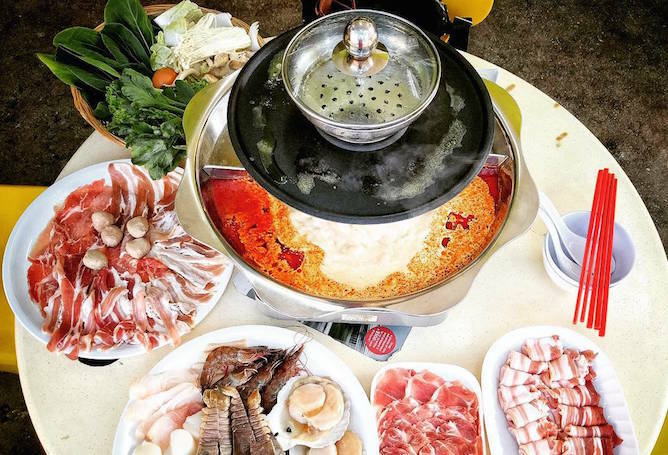 While many unique hot pot concepts have been popping up all over Singapore, Cheery Steamboat sticks to its original roots. 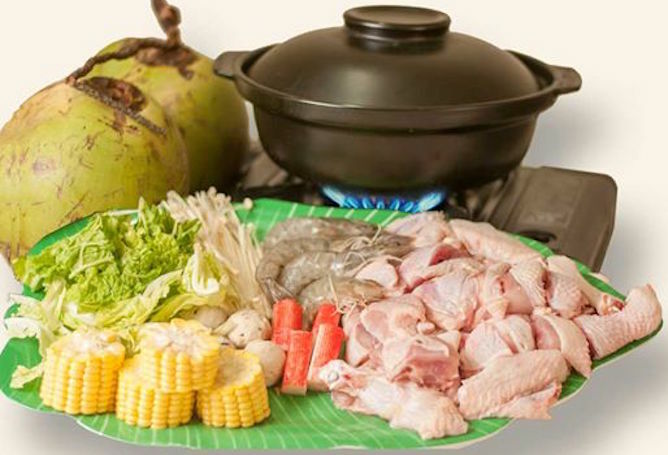 Situated within a humble Kopitiam, their affordable pricing is the winning factor – vegetables, starch and processed foods cost $2 while basic meat and seafood are $4-$5 per portion. For those special occasions you can also add live prawns ($6/100g) or abalone ($68) to your mix! Traditionally a prawn mee store, Wen Wen Big Prawn noodles also uses the flavourful broth for a seafood steamboat. Created with tender pork ribs and chunky prawns the soup also features a whole crab and free flow of noodles. Their attentive service is also a huge plus point – feel free to bring your own ingredients from home. Cooking your food in pure coconut water might sound peculiar but the reviews rave about its natural sweetness and refreshing taste – no MSG, salt or refined sugar added, talk about the healthier choice. The most popular item to go with the steamboat is their tender kampong chicken cubes (which explains the name), don’t forget to coat it in their saucy concoctions before popping it in your mouth! Where’s your favourite place to get some meat swishing action? Feeling frazzled? These kinda odd but super satisfying IG accounts will be the remedy to ease your nerves. There’s just something so satisfying about watching paint being smoothly blended together – and we love the resulting colours! We definitely aren’t the only ones who find the ripples, ridges and endlessly spinning pottery wheel kinda hypnotising. It’s like playing with sand at the beach as kids, but for adults (and without the mess). Would you just look at how the fresh dough peels apart slightly as it’s scored?! It’s so soothing that our eyes are glazing over (geddit?)! The way the baker smoothens out the icing is absurdly pleasing! Her attention to detail is astounding. An oldie but a goodie, people either feel relaxed after watching Dr Pimple Popper’s videos, or become super grossed out. What are some of your go-to stress busters? Share your tips in the comment section. It’s been barely two weeks since the release of the iPhone X and already the rumour mill is buzzing that Apple will be launching three iPhones in 2018. According to KGI Securities analyst Ming-Chi Kuo, whose research team has been pretty spot on with their predictions so far, Apple will launch “three new iPhone models in 2H18: 6.5-inch and 5.8-inch OLED models and a 6.1-inch TFT-LCD model, all equipped with a full-screen design and TrueDepth Camera (front 3D sensing), as with iPhone X.” And while two of the iPhone models will be targeting a high-end market, the third will be aiming towards the middle and low-end markets with a predicted price tag of USD$649 to $749. Additionally, the latter could sport a lower-resolution screen and feature facial recognition instead of a fingerprint sensor. Why?! X is already big. Why are they making it like a “small sibling” of the family? What are your thoughts on these iPhone 2018 rumours? Share ’em in the comment section! More related stories: 22 Stylish Cases To Dress Up (And Protect) Your New iPhone X, 10 Thoughts Every Millennial Has When Going On A Family Vacation, 10 Movies To Watch This November!